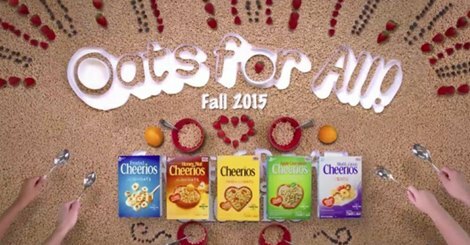 The FDA is looking into Cheerios’ gluten-free label. 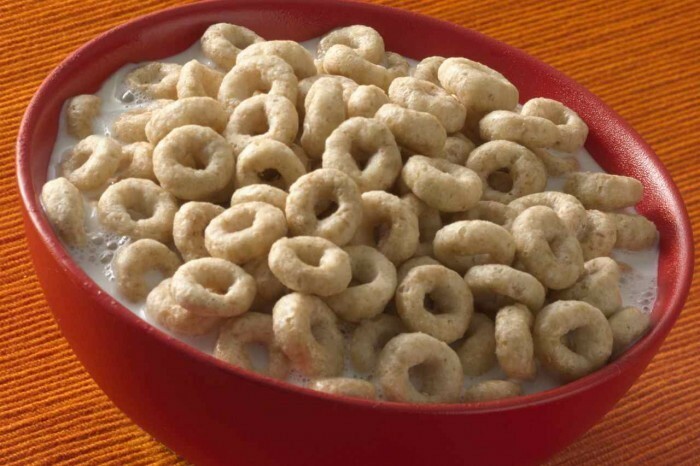 As a result of consumer complaints, the Food and Drug Administration is investigating whether General Mills’ Cheerios are following gluten-free labeling rules. The FDA as of Tuesday had received complaints from 39 consumers who report they became ill after consuming Cheerios and Honey Nut Cheerios. As part of its review, the FDA is collecting samples of the cereal from local retail supermarkets, said Dani Schor, R.D., of the communications and public engagement staff of the FDA Office of Foods and Veterinary Medicine.The agency can also request samples from consumers who filed complaints. It’s unclear how long the FDA review of the cereal will take and when results will be made available. The company has repeatedly tested the oats used to make the cereal, the flour ground from the oats and the final products. Five varieties of Cheerios are labeled gluten free-Original, Honey Nut, Apple Cinnamon, Frosted and Multi-Grain. Five varieties of Cheerios labeled gluten free. 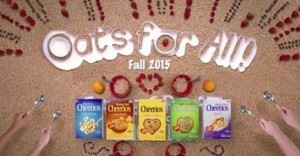 General Mills launched gluten-free Cheerios beginning in August, reformulating its iconic brand to be gluten-free by using oats that are mechanically processed to remove cross-contamination. Oats are typically cross-contaminated by gluten-containing wheat, barley and rye in the fields and during transportation, milling and processing. Cross-contamination is of such great concern that only specialty oats that are grown and processed in a very precise way to prevent exposure to the gluten-containing grains were previously allowed on the gluten-free diet. But FDA labeling rules approved in 2013 consider oats to be a gluten-free grain and do not require food makers to use specialty oats in in products labeled gluten free. Instead, finished food containing oats has to meet the FDA standard of less than 20 part per million of gluten. FDA rules do not require companies to test their gluten-free products, but they are subject to the agency’s review and testing. Consumer complaints are one trigger for FDA review. General Mills worked for 5 years to develop a method of removing gluten-containing grains from oats and built a 7-story, 50,000-square foot cleaning and sorting plant to process oats used in gluten-free Cheerios. The move to make the cereal gluten-free was initiated by Phil Zietlow, a longtime member of the Cheerios team who also came up with the idea for Honey Nut Cheerios. Zietlow, whose daughter-in-law has celiac disease, is featured in widely broadcast TV commercials for Cheerios. The cereal has received mixed reaction from gluten-free consumers, generating social media debate. Some say they have gotten sick after eating Cheerios and question its safety. Others say they have eaten the cereal with no problem and are happy to have a mainstream, gluten-free product that’s reasonably priced compared to specialty brands. Much of the debate followed a report by Gluten Free Watchdog, a Massachusetts gluten-free testing company. The company’s independent test of three individual boxes of Cheerios found the cereal met the FDA standard. But Tricia Thompson, R.D, the company founder, questions General Mills internal testing methods. She says that because the company tests a composite sample of multiple boxes, higher levels in some could be diluted by lower levels in others. She recommends that those who have celiac disease not eat Cheerios and urges consumers with complaints to report problems to the FDA. You can contact the FDA here. Some consumers have said they would prefer that General Mills use specialty oats and get gluten-free certification from an independent, third party. The company has said the entire supply of specialty oats would be used up by Cheerios in about two weeks. General Mills, which makes more than 800 gluten-free products including a number of Chex cereals, says its internal testing is thorough. Gluten-Free Living has been the leading gluten-free publication in providing coverage and expertise on gluten-free labeling, including gluten-free Cheerios. We were the first to report the launch of the cereal and to write about the use of mechanically processed gluten-free oats. We continue to follow this story and you can check back often for updates on our website, glutenfreeliving.com. You can also get automatic updates of this and other stories by subscribing to our enewsletter here. And you can find other stories about Cheerios here and here.